1986: Doctor Who - Looking Back At THE ULTIMATE FOE | Warped Factor - Words in the Key of Geek. Tony looks through a glass darkly. The Ultimate Foe is a Doctor Who story where the story of the story is far more interesting than anything that appeared on screen. It’s also well known to fans after thirty years and the agreeable refusal of some parties to be silent about what went on. For those that don’t know, it’s a game of Find The Lady with scripts – The final two parts of the Trial arc, like the first four, were due to be written by the increasingly unwell Robert Holmes. In fact, Holmes was by this time critically ill, and sadly died before the script for the final two-parter was finished. As you’d expect in the circumstances, script editor Eric Saward stepped in to finish the script, but his solution to the whole battle between the Doctor and the Valeyard was thought by Producer John Nathan-Turner to be too vague, and almost pro-cancellation of the show (it would have involved the Doctor and the Valeyard fighting endlessly through the matrix, locked together forever unless someone intervened, and no-one would have been revealed to do so by the end of the season). There’s a degree of acting out in this script, Saward seeming to feel the same sort of endless battle with Nathan-Turner, and while the programme’s fate in the Sixth Doctor’s form had probably already been sealed around the time of Mindwarp’s broadcast, there’s also probably some justification in Nathan-Turner’s view that the disapproving bosses at the BBC would have taken such a negative but unresolved conclusion to fourteen weeks of television as being an open invitation to can the Doctor entirely. So, Nathan-Turner rejected his own Script Editor’s script, leading Saward to resign, and ban the show from using his ending in the event that it chose to do so. Nathan-Turner instead drafted Pip and Jane Baker back in, by now astonishingly late in the day, to pull the final episode together without any access to Saward’s or Holmes’ ideas. If you’re going to run a season-long story arc of course, this is absolutely not the way to do it, because in all likelihood the end result will feel like a week payoff for the viewers’ prolonged attention. For the most part, that’s exactly what The Ultimate Foe feels like. It sits around for a while, introduces the Master, brings Glitz and Mel in as if from nowhere, reveals the nature of the Valeyard as the Doctor’s ultimate foe, then flees into the eighties version of the Matrix for mind games of increasingly maddening pointlessness, almost as if to take up space and time before Mel can spout some low-tech nonsense, the Valeyard can miraculously endanger the Time Lords in the court room for…erm…reasons, and then disappear, allowing the Doctor to claim victory. It also allows Pip and Jane Baker to soften the harshness of Philip Martin’s end for Peri at least a little, claiming that in fact, her ghastly violation and death wasn’t real, but that instead – presumably feeling abandoned by the Doctor – she hitched a lift with the only other star traveller in the immediate vicinity, Brian Blessed’s King Yrcanos, and ended up married to the warlord. Think about that for a moment, we dare you. Brian Blessed…and Nicola Bryant. Yrcanos and Peri – presumed, at least for several decades until Big Finish sorted them out, to be making hordes and hordes of beard-rash warrior-babies. Go ahead, try to sleep again. Ever. No wonder Bryant was reported to be disappointed at the softening of her character’s exit (for all it’s given Peri a more interesting life on eventual audio). There really is no point to the Master showing up in the Matrix beyond a certain desperation against deadline to move a fourteen-week arc towards some sort of satisfactory resolution. 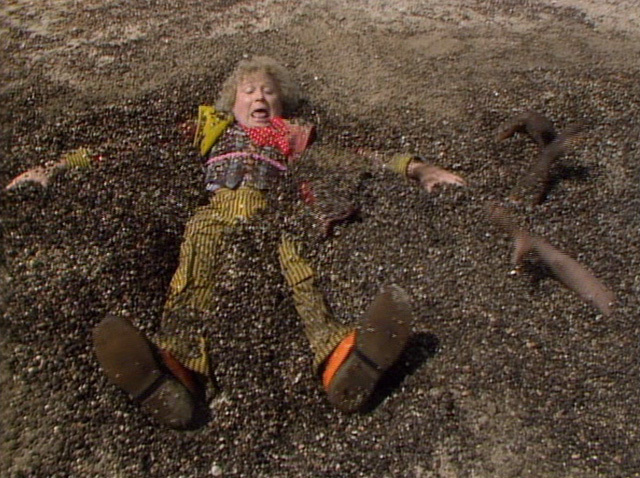 And the eighties version of the Matrix is just as unnerving and unsettling as the seventies version was in The Deadly Assassin, even if for the most part it feels significantly more cramped and dark in style, like a studio floor. If you work at it quite hard, you can find an in-universe explanation for this – the Valeyard’s guiding imagination being a collection of all the Doctor’s more overblown impulses and the Doctor himself having a fascination and a fondness for the Victorian era, leading to recursions of the Dickensian clerk, Mr Popplewick (Geoffrey Hughes broadening his perceived range after a long stint in Coronation Street). The Doctor’s love of the grand guignol is another reason cited in the episode for the recursion, the games, the general enclosed creepiness of the environments the Doctor faces, apart from the episode 1 climax, which riffs shamelessly off The Deadly Assassin, with the Doctor being drowned in both – in water in the seventies, and under quicksand in the eighties. Essentially though, after a reasonable first part, which delivered Holmes’ last gift and the season’s Big Idea – that the Valeyard was an amalgamation of all the Doctor’s darkest impulses, an ‘evil’ incarnation of the Doctor himself, who had done a deal with the High Council to put the Doctor on trial so he could be put out of the way, in exchange for ‘all his remaining regenerations’ – the final episode perversely degenerates into a Valeyard-hunt throughout the environment of the Matrix. The ending makes, if anything, less sense even than Saward’s take on Holmes’ script, and the neat, everything-wrapped-in-a-bow solution that lets the Doctor emerge triumphant and have Peri’s death absolved from his conscience is overly sweet, however shocking that death was when it was revealed. This was in the era BM (Before Moffat), so people who were dead had a tendency to stay that way – Peri’s surprise resurrection felt exactly like the kind of cop-out that Rory’s many deaths later did in the 21st century, only somehow more personal, both by virtue of its rarity in Who at the time, and the extreme way she met her fate, right there in front of us on-screen. To have that cheated felt like emotional puppeteering of the grossest kind). The Trial of a Time Lord could have been a glorious triumph, and in another reality, it was – the Production Team chose stories with care to show that Doctor Who was as good as it had ever been, that the violence of Colin Baker’s first season had been a symptom of the erratic Doctor settling into his morality, that powerful storytelling could still bring families together in support of a hero and rule the schedules. 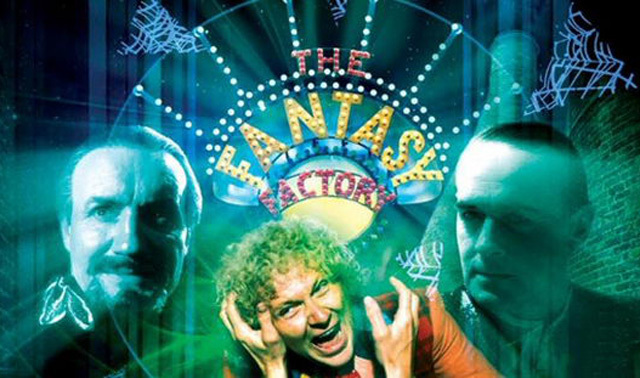 But the Production Team was rife with dissent – The Ultimate Foe proving the ultimate straw that broke the camel’s back for Eric Saward – and John Nathan-Turner was feeling increasingly trapped and desperate to move on from Who to other projects. The decision to put Doctor Who publically on trial within its own universe felt like a mark of insecurity rather than strength, and the trial structure interfered with the drama of all four stories. While each of them had their strengths, in the end, it was The Ultimate Foe that had the responsibility for making the whole experiment feel worthwhile. And with Robert Holmes passing on, and the final split between Nathan-Turner and Saward leaving the production in a state of staggering crisis, neither Pip and Jane Baker nor The Ultimate Foe could deliver the capstone that would have made the season feel like the triumph it so badly needed to be.